Select Enable Write on the Tools menu if you want to save changes. There are up to four tabs showing the data in different representations. Actual number of tabs depends on the object and property being viewed/edited. Exact attribute data. If the attribute is compressed, R-Studio decompresses it prior to showing. Exact attribute data + free space of last cluster. If the attribute is compressed, R-Studio decompresses it prior to showing. You may view data in 4 various code pages: ANSI/OEM/UNICODE/UNICODE+ by s witching on/off the respective code pages in the Code pages buttons or select the appropriate code pages on the View menu. You may select a pattern according to which the data will be parsed and shown in the parsed data pane. The Data Interpreter shows the data selected on the Template pane in various representation. You may find the next or previous data that matches the pattern signature on the disk. Control-click the right pane of the editor and select either Find Template Signature Next or Find Template Signature Previous on the contextual menu. You may also select these items on the Edit menu. 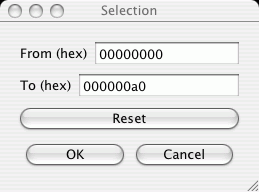 Text/hexadecimal Editor gives you various ways to navigate through an object. See the Navigating through an Object for more details. 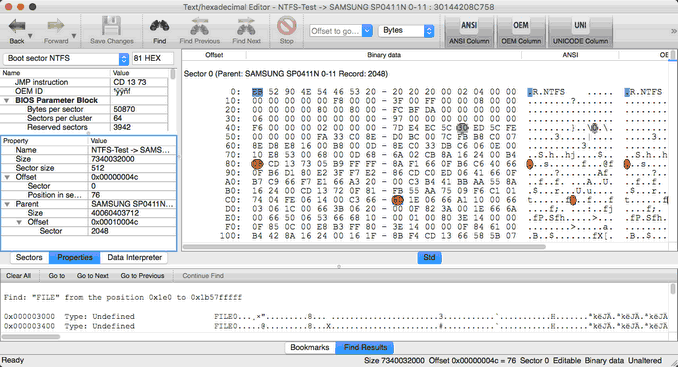 Text/hexadecimal Editor gives you various ways to copy selected data navigate in an object. See the Data Copy for more details. You may select an area in the Viewer/Editor panel and save it as a file. 1 Control-click the beginning of the selection and select Select From on the contextual menu. 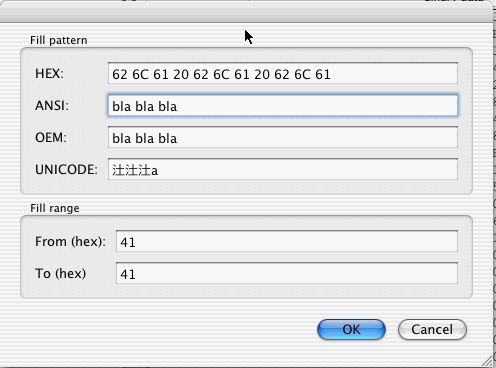 If you select an existing file, R-Studio will ask you if you want to append or overwrite the file. You may load a data from a file and overwrite an area of the object opened in the Viewer/Editor panel. > The area in the Viewer/Editor will be overwritten with the new data.